You’re ready to buy a bike, but intimidated by all the numbers and specs? One of the first steps is knowing which size bike you need. 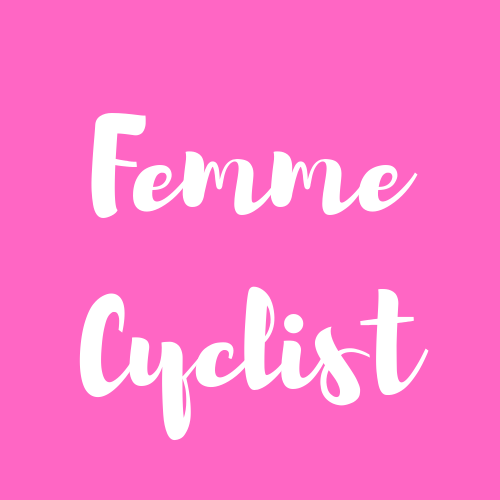 There are a couple of different ways women’s bikes are measured and sized, and we’re going to walk you through all of it. And there’s no need to feel intimidated: it’s all super straightforward. The first thing to understand is that there are two basic measurements when we’re talking about bike size: frame size and wheel size. Wheel size refers to the diameter of the wheel and is less important than the size of the frame. Mountain bike wheels come in three basic sizes: 26″, 27.5, and 29″. 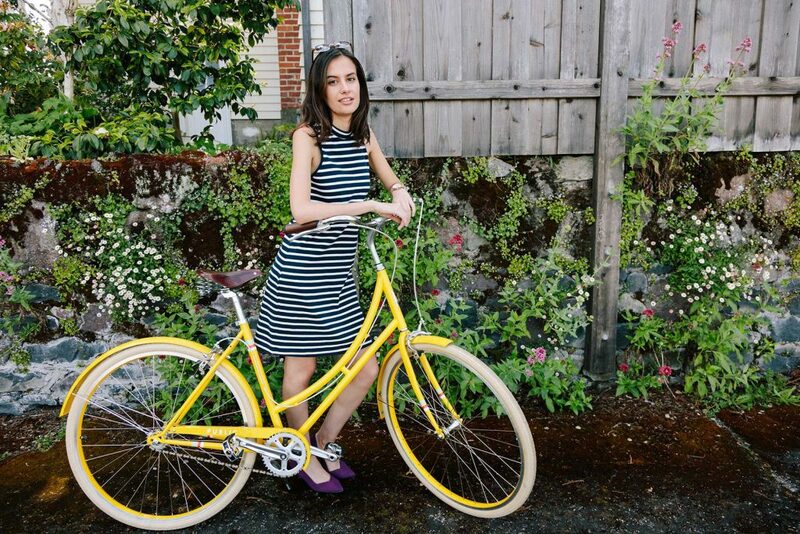 Very petite women may want a 26″ wheels but most will be best served by a 27.5″ or 29″ wheel. These two wheel sizes are becoming more common on modern mountain bikes, so if you are buying a bike new, it’s likely to have 27.5 or 29 inch wheels. If you are buying an older used mountain bike, it may very well have 26 inch wheels. Hybrid bikes and cruiser bikes usually have wheels that are sized in inches like mountain bike wheels, although they may also be sized like road bike wheels. Road bike wheels usually come with 622 mm diameter (700C) wheels, although smaller women may want 571 mm (650c) wheels. Commuter bikes may use this same sizing convention as well. All that said, wheel size should be a secondary consideration to frame size. 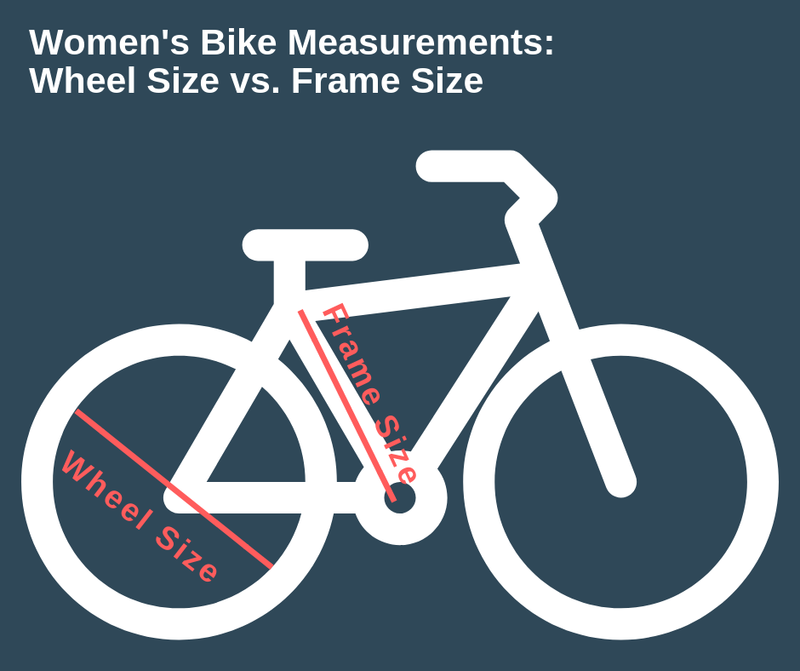 Frame size determines how big or small a bike is and whether or not it’s going to fit you. Unfortunately, not all bikes are measured in the same way. Women’s bike frames may be measured in inches or centimeters, or come in generic sizes (S, M, L). Much of this is dependent on the type of bike you are looking for. Most women’s road bikes measured in centimeters. The centimeters refer to the length of the seat tube. The smaller the measurement, the smaller the bike. Because different bike brands size their bikes differently, your best bet is to check the website of the bike manufacturer you are considering buying from. They should have a bike sizing chart that will use your height and inseam to tell you which of their bike sizes is best suited to you. That said, you can also use this chart to help you get a general guideline of which size bike you should be shopping for. Many mountain bikes are measured in inches. The inches refer to the length of the seat tube. These will commonly be sized as 15″, 17″, 19″, and 21″. The smaller the seat tube, the smaller the bike. Mountain bikes may also be sized more generically: S, M, L, etc. 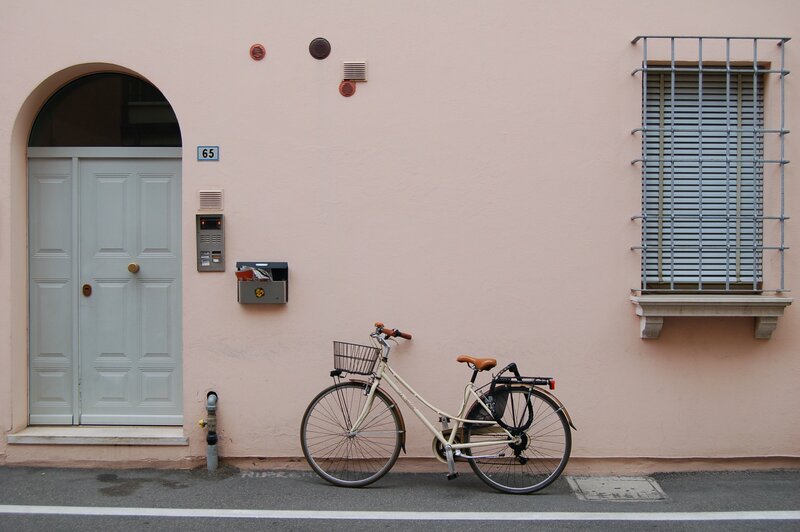 Bike manufacturers usually have their own sizing guides, so once you’ve narrowed it down to a few bikes you might like, then look on the manufacturer’s website to ensure you’re getting the right size. These charts will usually use your height and inseam length, so make sure you have your measurements handy. Although these sizes won’t be universal amongst manufacturers, you can also use this chart as a basic guideline of what size bike you’re probably going to need. 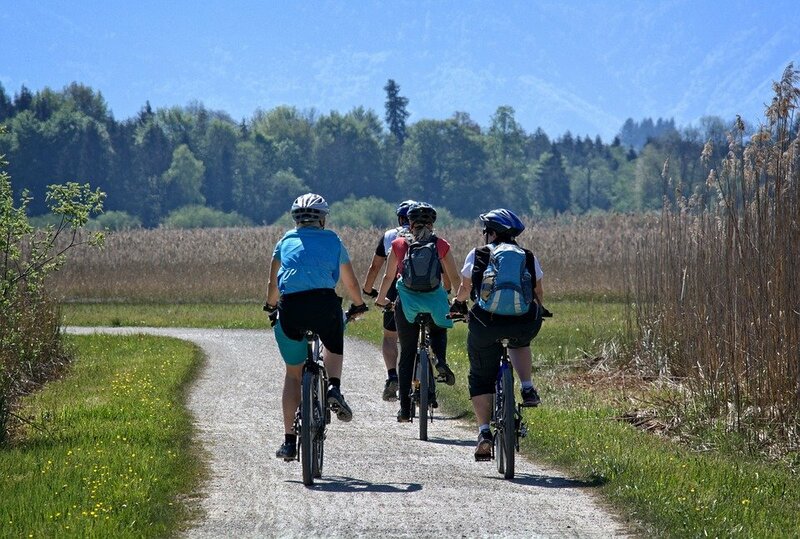 Bikes that are intended for recreational and commuting type riding may be sized like a road bike, although they are more commonly sized in inches like a mountain bike. Use the guidelines above for road bikes and mountain bikes to understand the sizing. How do you know if the bike fits you? You should be able to stand over the frame of the bike with both feet on the ground. Swinging your leg over the bike to get on and get off should be easy. The seatpost (which is adjustable) should ideally be neither dropped all the way or raised all the way. When riding the bike, the reach should be comfortable. You shouldn’t feel stretched too far over to reach the handlebars, nor should you feel cramped. Your knees should have plenty of clearance between them and the handlebar when at the top of your pedal stroke. The bike shop should also be willing to help you ensure you’re buying the right size bike. If they are unhelpful or make you feel intimidated, walk out and look for a different shop. If you can afford it, we highly recommend a professional bike fitting. Not every bike shop will offer this service, so ask google for one near you or ask friends who bike. While this service isn’t cheap, it will ensure that you get the correct size bike and that it is set-up correctly for your body. Now that you better understand which size bike you need, use these guides to help you pick out the best bike for you.